How to apply multiple selection colors in SfDataGrid? By default, SfDataGrid applies a common background color for the selected rows. However, it also provides extensibility to have multiple selection colors when touching the rows by writing a custom SelectionController derived from GridSelectionController property. You need to override the GetSelectionColor method to apply different colors for selection in runtime. 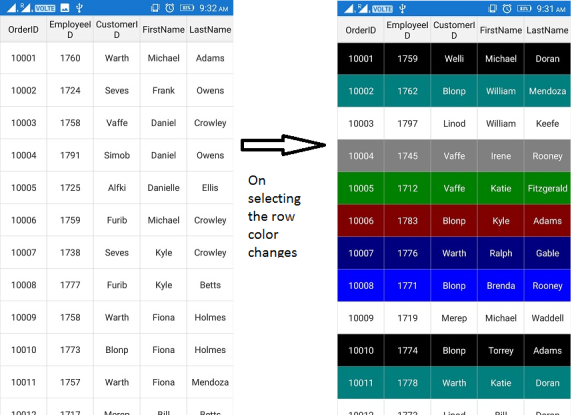 The following code example illustrates how to set different colors for the selected rows in SfDataGrid.